Have you ever wondered what happens with all of the poo at the Detroit Zoo? With more than 2,600 animals in residence, you can probably imagine that a staggering amount of manure is generated – nearly 500 tons each year, in fact. As part of its Greenprint initiative, the Detroit Zoological Society has plans to build a biodigester that will convert all of our animal manure – and other organic waste – into soil, biogas and organic liquid fertilizer. 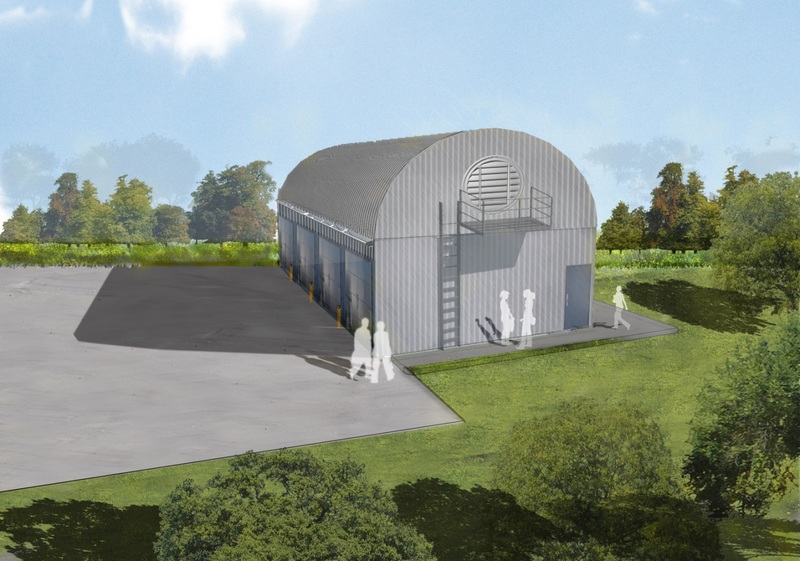 This will be the first anaerobic digester at any zoo in the U.S. and we need your support to make this project a dung deal. Every week we will collect manure from each of our animal habitats. The manure will then be placed in one of the four biodigester holding chambers. All four chambers will be sealed shut when product is not being moved. Once a chamber is completely full, we will spray it with microorganisms, air-tight seal the chamber and essentially bake the material for 30-60 days. While the product breaks down, methane is released and captured in a biogas bag above. The Zoo will then run that biogas to a generator at the nearby animal hospital, which will be used as a renewable energy source. Once the material has completed its cycle, our landscaping team will then utilize the remaining soil and organic fertilizer throughout our 125 gardens. The biodigester will not only provide the Zoo with a full-circle approach to waste management, but it will also demonstrate to our region a practical, waste-to-energy system that could be replicated by many businesses in the area, including microbrews, farmers markets and even schools. While we are well on our way to meeting our funding goals, we still need a little help to make this project a reality. To show your support, please visit our crowdfunding site, at Patronicity.com/DetroitZoo. 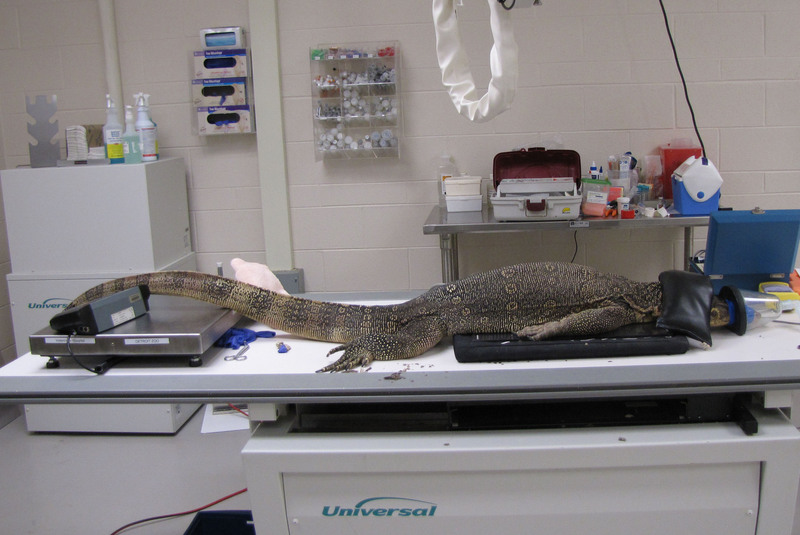 We recently performed an examination on our new water monitor. He is a 5-year-old adult male, weighs 30 pounds and is approximately 6 feet long. Water monitors are native to parts of southeast Asia. They are not an endangered species, but are known to be exploited in the pet trade. We rescued him from a local rescue organization that recently lost its funding, and he is currently in quarantine to ensure he is free from health problems before he is moved to the Holden Reptile Conservation Center. All animals new to the Detroit Zoo undergo a quarantine period; this is a very important practice that allows close observation, acclimation to new diets and caretakers, and ensures we do not transfer any contagious diseases to the rest of the resident animals. Many of our snakes and lizards can be held by trained zookeepers while we examine them thoroughly and collect blood and other samples for testing. They can often even be radiographed while resting quietly on an X-ray plate. Our new water monitor is a very large lizard, and we knew it would not be possible to hold him safely for his exam. Dr. Wynona Shellabarger created a plan for the monitor’s examination, and then went to his holding area to administer a sedative to allow for a safe and calm trip to the hospital. Once there, he was given gas anesthesia through a facemask until he was sedated enough that we could position him for radiographs and safely examine him. We palpated his abdomen, muscles and joints, listened to his heart and lungs, and examined him from head to toe, including the inside of his mouth. We also performed an ultrasound exam of his heart and other abdominal organs. He appears healthy and in good condition. We will continue to “monitor” him until his quarantine period has ended and his new habitat at the Holden Reptile Conservation Center is ready for him. Lisa Forzley is the Humane Education Manager for the Detroit Zoological Society. The Detroit Zoological Society’s Berman Academyfor Humane Education was created to help people help animals – we provide people with information and tools to make knowledgeable decisions on how to walk softly and treat the Earth’s creatures gently. 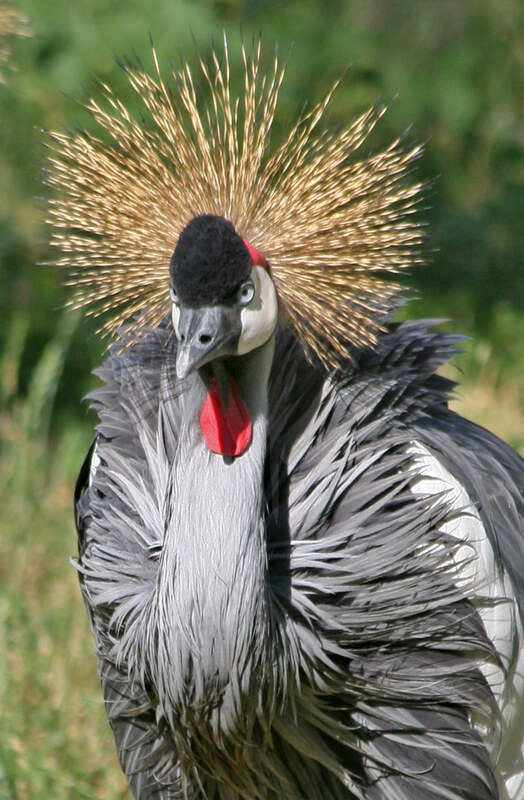 The Academy is the only one of its kind in any zoo, and is the lens through which all of our education initiatives and activities are developed. One of the tools we use is compassionate speech. I coined this phrase a number of years ago when in the midst of a staff meeting, I said to a colleague, “Great! We can kill two birds with one stone.” No sooner had the words come out of my mouth that I realized my language didn’t reflect my desire to be kind to animals. I felt there must be a nicer way to state that I wanted to accomplish two tasks simultaneously. This was the beginning of my determination to be more mindful of what I say. • More than one way to skin a _____. • Grab the ____ by its horns. • He’s such a ____ brain. • I need to try something out. Will you be my ____ ____? • There’s no point in beating a dead ____. • You can’t teach an old ____ new tricks. • That’s the straw that broke the ____ back. • She was scared, so she ____ out. How’d you do? You probably found that you know most, if not all, of the phrases. This just reiterates that we often utter these idioms without thinking about their underlying meaning. Let’s work together to create new cultural norms. For example, “kill two birds with one stone” can become “feed two birds with one hand”, and “more than one way to skin a cat” can become “more than one way to pet a cat”. What ideas do you have to help promote more compassionate speech? Share your ideas with us in the comment section below. 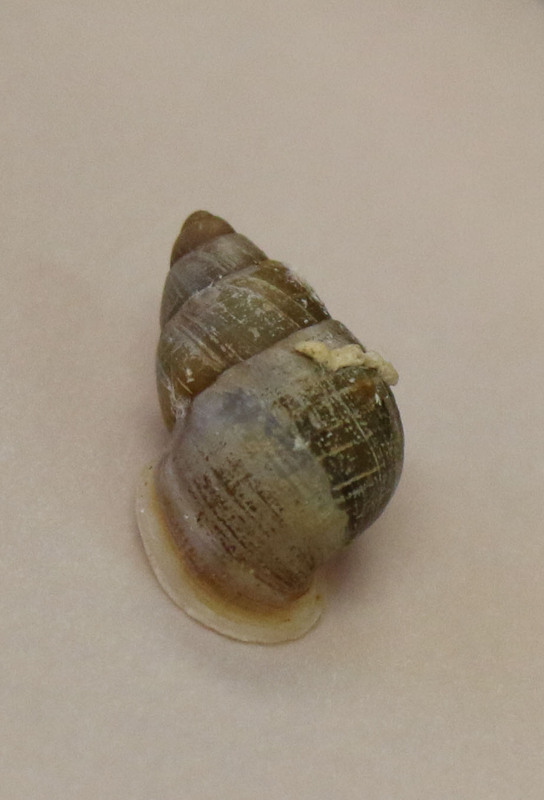 For nearly three decades, the Detroit Zoological Society (DZS) has been breeding a species of Tahitian land snails called Partula nodosa in an off-exhibit area as part of a collaborative effort credited with saving the species from extinction. Recently, 100 of these snails were carefully packaged and delivered to Detroit Metropolitan Airport to embark on a very special trip, returning the species to the tropical island of Tahiti in the south Pacific. Beginning in 1989 as a project with 115 Tahitian land snails of five different species, the DZS focused its efforts on one species, P. nodosa. At one point all the P. nodosa in the world lived at the Detroit Zoo. 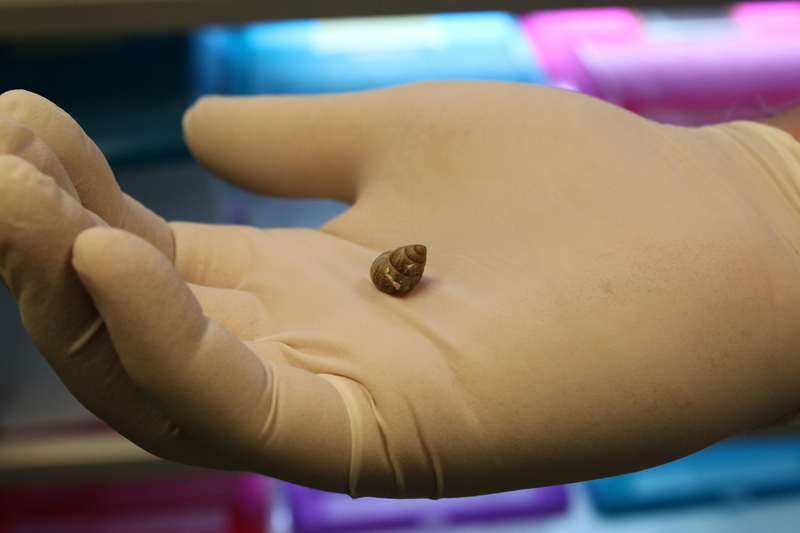 Our efforts and successful breeding of the snails resulted in the rescue and recovery of the species – currently there are 6,000 individuals living in North American zoos, all descendants from the Detroit Zoo’s original small group. P. nodosa snails are interesting because along with other Partulid snails, they were once found across Tahiti and other south Pacific islands in a dazzling array of more than 125 different species. These beautifully striped snails were important in the ceremonial jewelry and decorations of native islanders, and the snails served as an ideal study group to learn more about the evolution of diversity. Much of the Partulid snail diversity was lost however, because of a botched attempt at what is known as “biological control”, or the control of a pest by the introduction of a natural enemy or predator. In 1967, giant African land snails were introduced to Tahiti and other south Pacific islands to serve as a source of protein for local people. However, some African snails escaped, bred very rapidly, and began eating farmers’ crops, threatening the local economy. To control the African snails, Florida rosy wolf snails were introduced a decade later, but the wolf snails preferred to eat the Partulid snails, which caused the extinction of many of the Partulid species. 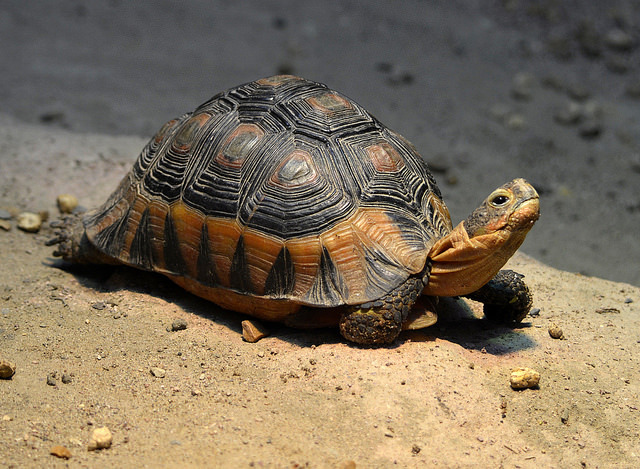 Thankfully, before complete extinction, P. nodosa snails were placed at several zoos including the Detroit Zoo, where they’ve been maintained off-exhibit in a collaborative effort of the Bird, Reptile and Amphibian departments. Now that the captive population has grown sufficiently and a protected area has been established on Tahiti, we can officially say that this species has been saved. Glass enclosures like those in the Holden Reptile Conservation Center at the Detroit Zoo are designed to provide visitors with less obstructed views of the animals and bring them even closer. These clear barriers can also easily lend themselves to direct contact by both the visitors and the animals – visitors can press their hands and faces right up to the glass, and even knock or bang on the glass. As it appears to be a common occurrence in zoos and aquariums, it’s important to us that we understand what effect, if any, that this visitor behavior has on the animals. While this topic has not been well researched thus far, the Center for Zoo Animal Welfare at the Detroit Zoo is in the midst of a study designed to determine if there is an impact on the welfare of reptiles when visitors knock on the glass of their enclosures. We first wanted to determine if there were specific enclosures or species that were being targeted by visitors, and we learned that this was not the case. Next, we want to determine if there is a behavioral response by the animals to the visitors interacting with the glass. We recorded video footage of the individuals before and after visitors interacted with the glass of the enclosure. We are currently comparing that behavioral data to other data collected at times during which there were no visitor interactions. 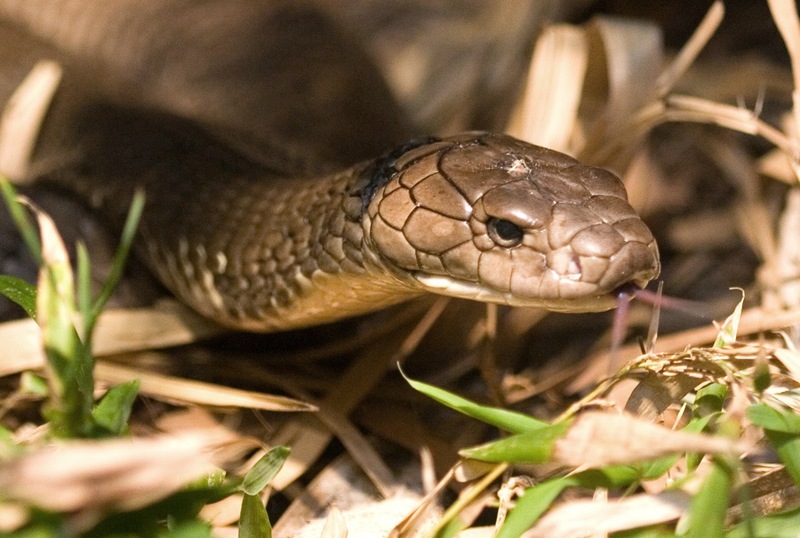 Based on what is known about reptiles, we may find in this study less behavioral evidence of their reactions to their environment. But an important thing to keep in mind is that just because we can’t see a reaction, it doesn’t mean the individual animal isn’t affected. Therefore, the final phase of this study will attempt to look for any changes in hormone levels – specifically corticosterone, which is the reptile and avian equivalent to cortisol in humans – during times with little to no visitor interactions and those with more. This part will be a bit trickier, as the means by which we collect hormone information non-invasively in mammals – by measuring levels in feces or saliva, for example – is not as easily done with reptiles. We are excited by the challenge however, as the welfare of every animal is important, including the ones that people might not relate to as easily.